a spillage or leakage of harmful chemicals. a road traffic collision where someone is hurt and/or a danger is being caused to other road users. For all other matters, use the Police non-emergency number 101. If you smell gas or suspect carbon monoxide poisoning, phone the National Gas Emergency Helpline on 0800 111 999 immediately. For electrical emergencies, or to report a power cut, phone UK Power Networks on 105 or use their online reporting forms. 105 is a new three-digit number that people can call to report or get information about power cuts. You can also call 105 with any welfare concerns related to a power cut, or if you are worried about the safety of over or underground electricity cables or substations. 105 is free of charge and will put you through to your electricity network operator. You can call 105 from most landlines and mobile phones. To report a water leak, call Anglian Water on 0800 771 881 or use their online leak reporting form. 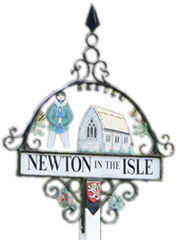 Like the whole of the Fens, Newton-in-the-Isle lies on reclaimed marshland, so it is susceptible to flooding, especially from tidal surges in the North Sea. To view the latest flood warnings for the surrounding area, click on the link below. The Government publishes regular advice regarding how to prepare for flooding in your home or business. Use the following links to check the current and forthcoming tide levels on the River Nene.